According to Husserl, the questions referring to the true method of ethics and the authentic meaning of fundamental ethical principles and concepts are posed in the historic discussion that he describes as the polemic between “morals of the understanding”—that is, “morals of reason”—and the “theories of moral sentiments”. In this chapter, I shall offer an interpretation of the Husserlian critique of the modern theory of moral sentiments. In order to do this, I will try, first, to contextualize briefly the aforementioned polemic. Second, I will consider the Husserlian analysis of a paradigmatic case of the theory of moral sentiments, namely, that of the empiricist ethics of David Hume. Third, I will set out, in general terms, the principal problems that, according to Husserl, the modern theories of moral sentiments present. I will conclude by summarizing the principle thematic questions that are put forward in this discussion. 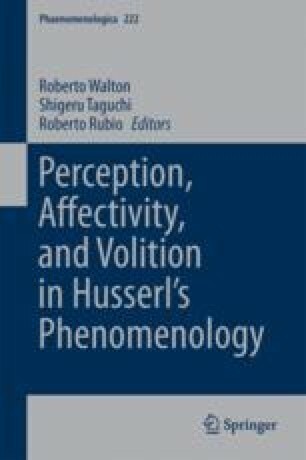 The final version of this paper was presented at the Workshop “Husserl’s Theory of Intersubjectivity” organized by the Centre for the Study of Mind in Nature (University of Oslo) in December 2012.